FOX News’ Jesse Watters was among those duped by the fake photo of a shark said to be swimming in the flooded waters of Houston following Hurricane Harvey, notes The Hill. Based on the many, many times the photo has been posted, retweeted, and otherwise shared on the Internet, Watters is not the only who found the photo convincing. 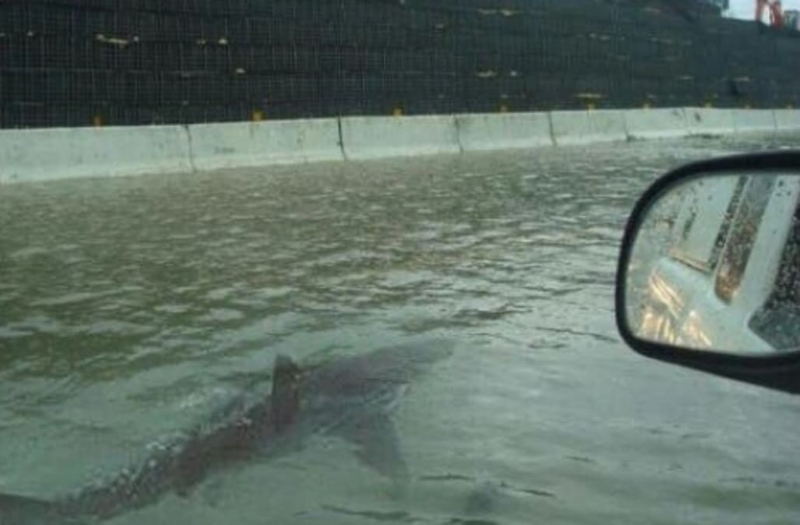 While it’s a dramatic image and one that certainly speaks to the dangers the people of the Houston area are facing, the creature’s asserted presence in the city is a false report, according to the Washington Post. Notably, the photo itself is mostly real, but it was taken years ago and far away. In the time since it’s been altered and ascribed to numerous water-related disasters including Hurricanes Matthew and Sandy. Each time, it appears convincing enough to share via social media and, on occasion, by news networks. Watters took to Twitter on Tuesday to apologize for his mistake. "Yesterday, I made a comment about a shark in the floodwaters in Texas," he said. "I sincerely apologize if I caused concern or alarm to anyone."